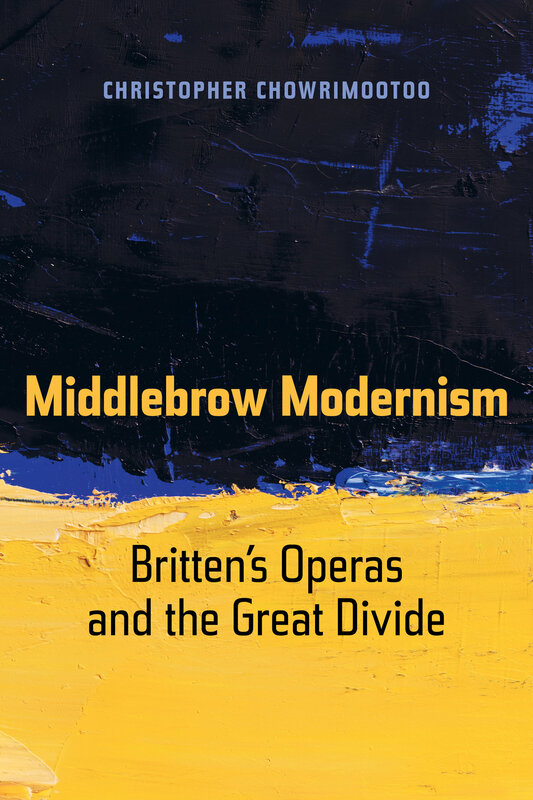 Situated at the intersections of twentieth-century music history, historiography, and aesthetics, Middlebrow Modernism uses Benjamin Britten’s operas to illustrate the ways in which composers, critics, and audiences mediated the “great divide” between modernism and mass culture. 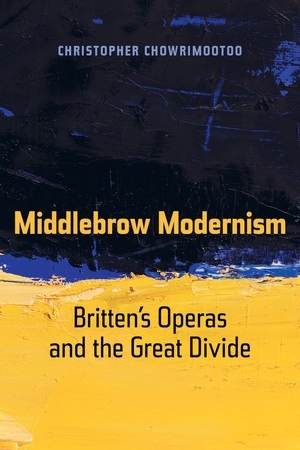 Reviving mid-century discussions of the middlebrow, Christopher Chowrimootoo demonstrates how Britten’s works allowed audiences to have their modernist cake and eat it: to revel in the pleasures of consonance, lyricism, and theatrical spectacle even while enjoying the prestige that came from rejecting them. By focusing on moments when reigning aesthetic oppositions and hierarchies threatened to collapse, this study offers a powerful model for recovering shades of grey in the traditionally black-and-white historiographies of twentieth-century music. Christopher Chowrimootoo is Assistant Professor in the Program of Liberal Studies and in the Department of Music at the University of Notre Dame.